As you travel around Peru, particularly in the Andean highlands, you’ll probably hear or read the word apu. In Inca mythology, apu was the name given to powerful mountain spirits. The Incas also used apu to refer to the sacred mountains themselves; each mountain had its own spirit, with the spirit going by the name of its mountain domain. Apus were typically male spirits, although some female examples do exist. In the Quechua language—spoken by the Incas and now the second most common language in modern Peru—the plural of apu is apukuna. Inca mythology worked within three realms: Hanan Pacha (the upper realm), Kay Pacha (the human realm), and Uku Pacha (the inner world, or underworld). Mountains—rising up from the human world toward Hanan Pacha—offered the Incas a connection with their most powerful gods in the heavens. The apu mountain spirits also served as protectors, watching over their surrounding territories and protecting nearby Inca inhabitants as well as their livestock and crops. In times of trouble, the apus were appeased or called upon through offerings. It's believed they predated people in the Andes regions and that they are constant guardians of those who inhabit this area. Small offerings such as chicha (corn beer) and coca leaves were common. In desperate times, the Incas would resort to human sacrifice. Juanita—the “Inca Ice Maiden” discovered atop Mount Ampato in 1995 (now on display in the Museo Santuarios Andinos in Arequipa)—may well have been a sacrifice offered to the Ampato mountain spirit between 1450 and 1480. The apu mountain spirits did not fade away following the demise of the Inca Empire. In fact, they are very much alive in modern Peruvian folklore. Many present-day Peruvians, especially those born and raised within traditional Andean communities, still hold beliefs that date back to the Incas (albeit these beliefs are often combined with aspects of Christian faiths, most frequently the Catholic faith). 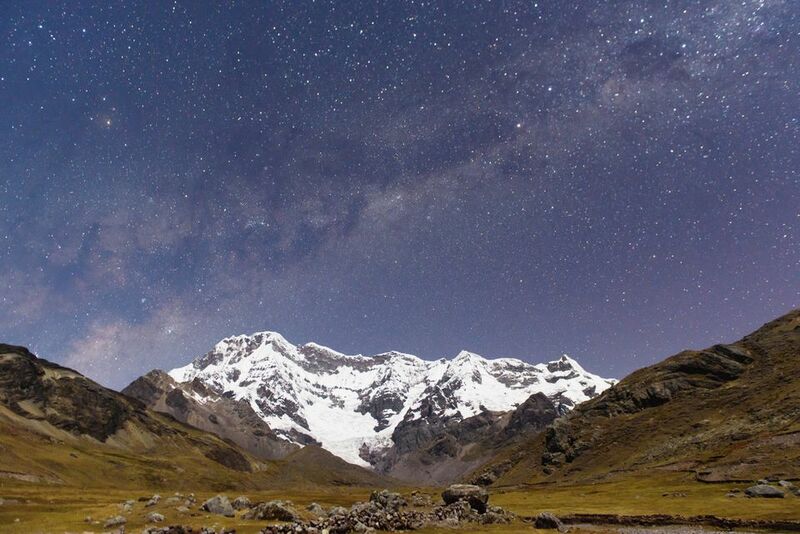 Understandably, the highest mountains in Peru are often the most sacred. Smaller peaks, however, are also venerated as apus. Cuzco, the former Inca capital, has twelve sacred apus, including the towering 20,945-foot Ausangate, Sacsayhuamán, and Salkantay. Machu Picchu—the “Old Peak,” after which the archeological site is named—is also a sacred apu, as is the neighboring Huayna Picchu. Apu can also be used to describe a great lord or another authority figure. The Incas gave the title Apu to each governor of the four suyus (administrative regions) of the Inca Empire. In Quechua, apu has a variety of meanings beyond its spiritual significance, including rich, mighty, boss, chief, powerful, and wealthy.